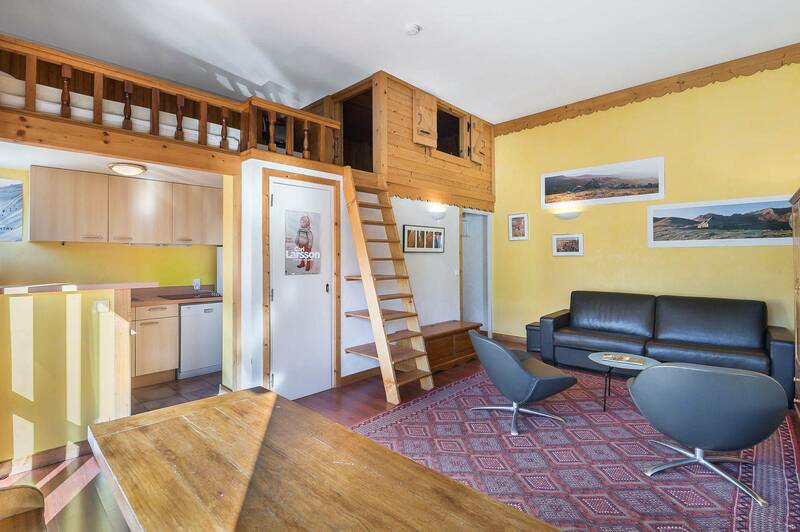 The apartment 'RE012W' is a beautiful duplex loft apartment located in the centre of Courchevel Moriond at the top floor of the residence 1650. Access to the slopes is directly from the seventh floor of the residence which is built into the slope. 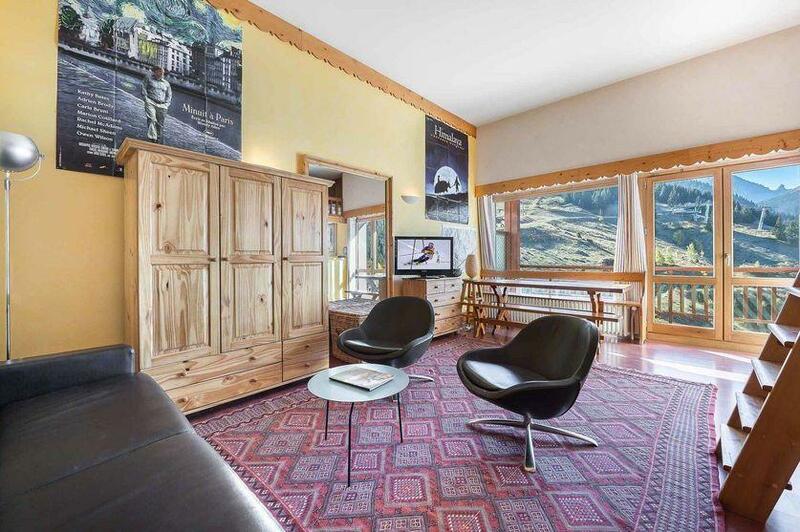 The location is ideal: ski lifts, shops, tourist office and ski school are located at the bottom of the residence. The mezzanine hosts a night space looking like a hut, it will delight the little ones. The lounge and open kitchen provides access to a large terrace overlooking the slopes of the largest ski area in the world. The 'RE012W' is the promise of good moments of sharing and conviviality to its 5 occupants. Living area : The bunk is not suitable for children under 6 years old ! Cosy functional ski in ski out studio, enjoying a south exposure that enlightens the apartment. Ski in/ ski out thanks to the position of the residence, right on the slopes. Balcony overviewing the skiing area for a beautiful view.